Council of Graduate Schools and Educational Testing Service. (2010). The Path Forward: The Future of Graduate Education in the United States. Report from the Commission on the Future of Graduate Education in the United States. Princeton, NJ: Educational Testing Service. 袁本涛, 王传毅, 吴青. 我国在校研究生的学术贡献有多大?[J]. 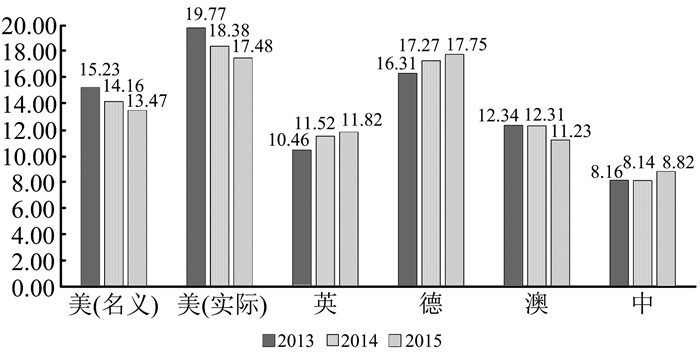 高等工程教育研究, 2015(1): 154-160. 袁本涛, 王顶明, 刘帆. 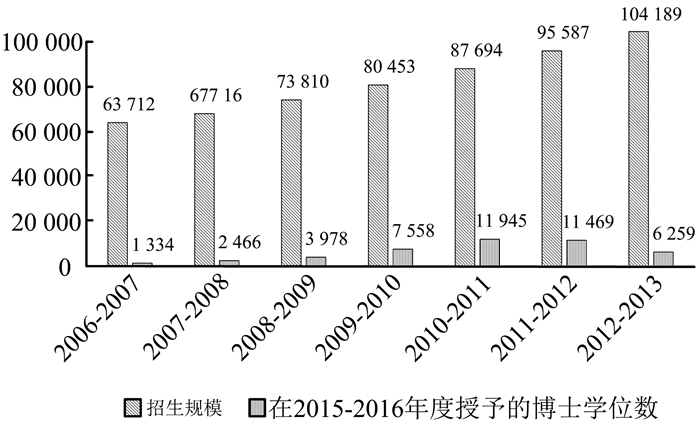 中国研究生教育规模究竟大不大:基于中、美、英、台的历史数据比较[J]. 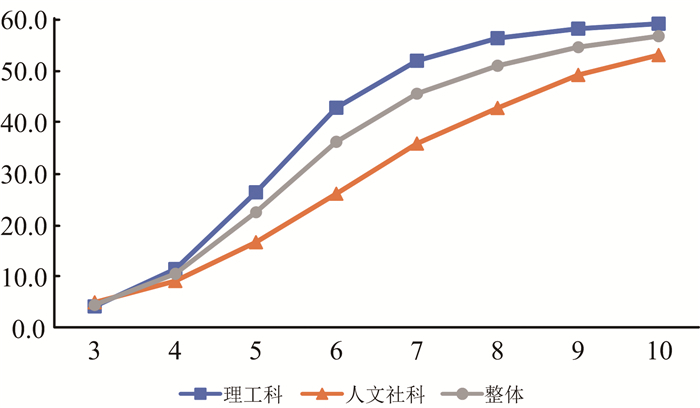 高等教育研究, 2012(8): 53-58. 赵世奎. 美国博士教育的规模扩张[M]. 北京: 北京大学出版社, 2016. Council of graduate schools. Ph.D. Completion And Attrition: Analysis of Baseline Program Data from the Ph.D. Completion Project[EB/OL].[2018-08-09].http://www.phdcompletion.org/information/book1.asp. U.S. Department of Education, National Center for Education Statistics. Graduate and first professional students: 2007-2008[EB/OL].[2018-08-09].https://nces.ed.gov/pubs2010/2010177.pdf. 王传毅, 陈东, 李旭. 中国研究生教育发展之态势:基于核心指标的国际比较[J]. 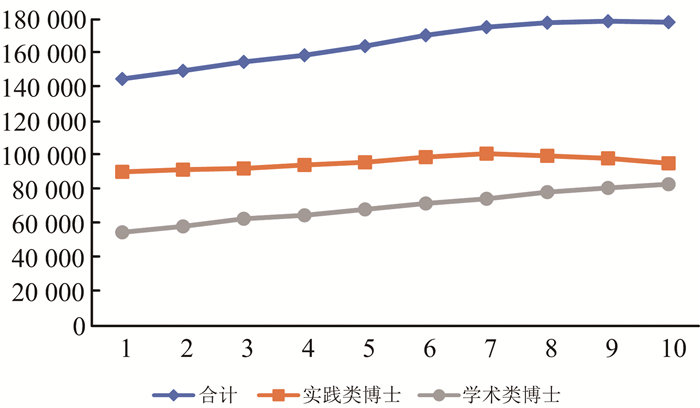 教育发展研究, 2013(23): 26-32. 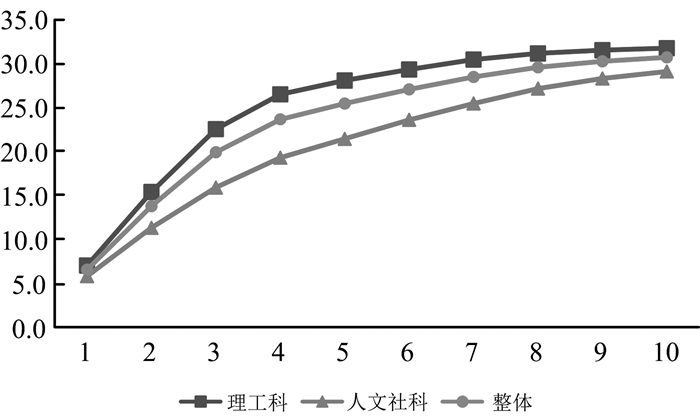 Abstract: At present, most researches on the size of postgraduate education in a country are mainly based on the number of the degrees conferred, yet this index does not show such important factors as study duration, admission rate, and dropout rate during the cultivation process. So far the US National Center for Education Statistics only provides the number of Ph.D. degrees conferred but the population of doctoral students, which seriously restricts the comparative research based on per-student indicators. Based on the consideration of the completion rate and dropout rate of the doctoral students in the United States, the authors construct a model to measure the doctoral student population at universities. 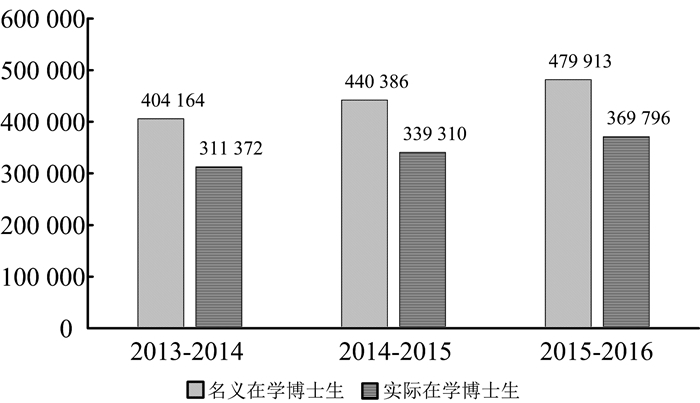 According to the calculation by this model, the nominal doctoral students in the United States from the year 2015 to 2016 were 480, 000, with an actual doctoral student population of 370, 000, exceeding significantly the doctoral student population of 320, 000 at universities in China the same year. While maintaining the largest size of the doctoral student population in the world, the per-student R&D fund in the United States also ranks at the forefront in the world, nearly equal to that in Germany that has about one-fourth of the doctoral students in the United States. 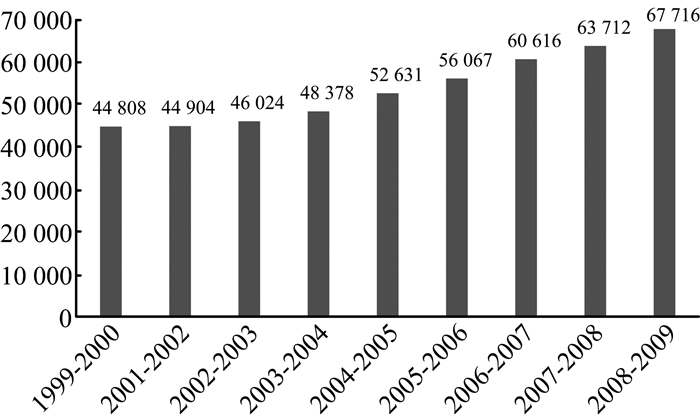 In the United States, the scale expansion of Ph.D. degree conferring mainly goes to academic categories, while the number of professional Ph.D. degree conferred basically remains stable in a certain range.